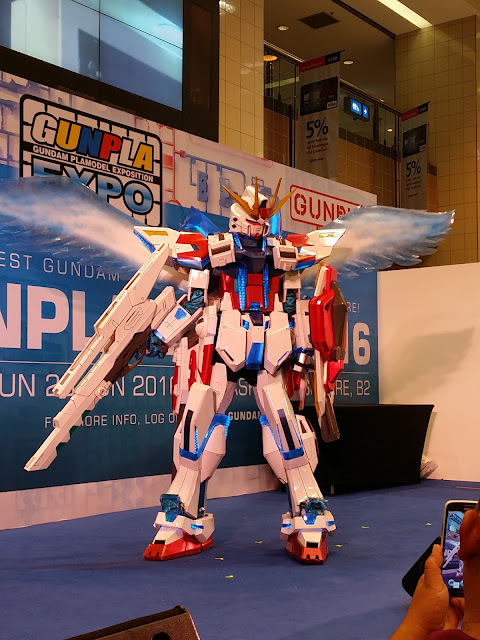 We walked from Takashimaya to shop for footwear but ended up spending more time at the Gundam fair at the atrium. No regrets as we got to see the mascot, I am guessing it was the Strike Gundam. I can't imagine how heavy the costume is. Continued to walk down to Centrepoint just for egg tarts at Honolulu Cafe. We queued for about 30mins and each of us could only buy 3 egg tarts for dine-in and takeaway. We were advised to order 6 in total, ate how many we wanted then takeaway for the rest by spending $0.50 for the box. They sure know how to do business. About the taste, I still prefer Leung San Hong Kong Pastries at Tiong Bahru. 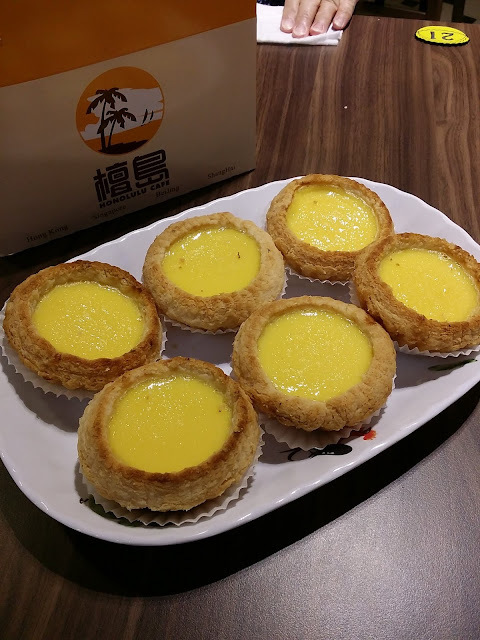 Comparing the two, the crust of the egg tarts at Honolulu Cafe is thinner and flakier but the egg custard could be sweeter. I wouldn't queue again just for the egg tarts. I also had the hot milk tea which you got to add the white sugar by yourself. It is quite thick but didn't impress me much. Enough of food for now, we walked down to Plaza Singapura and did some shopping at TEMT. I could understand why their business was not bad as the prices were really low. A casual top can cost as low as $4.95?! I bought a sleeveless top at $9.95 which I was quite impressed. 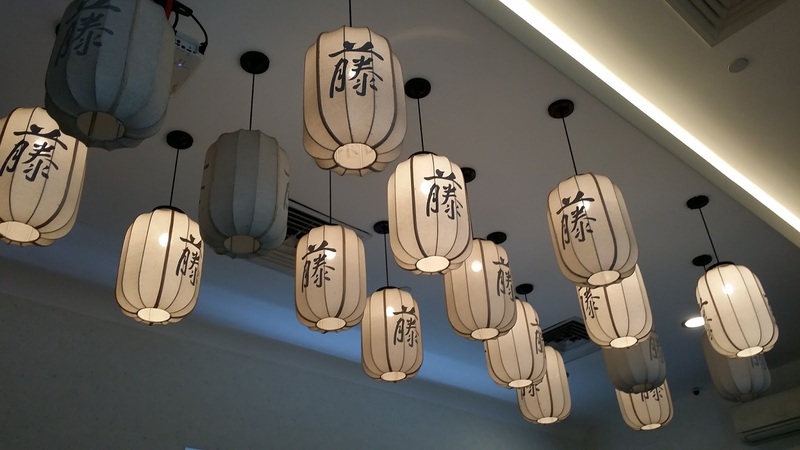 And yes, we headed for dinner at Teng Bespoke Vegetarian Restaurant at 5:30pm. 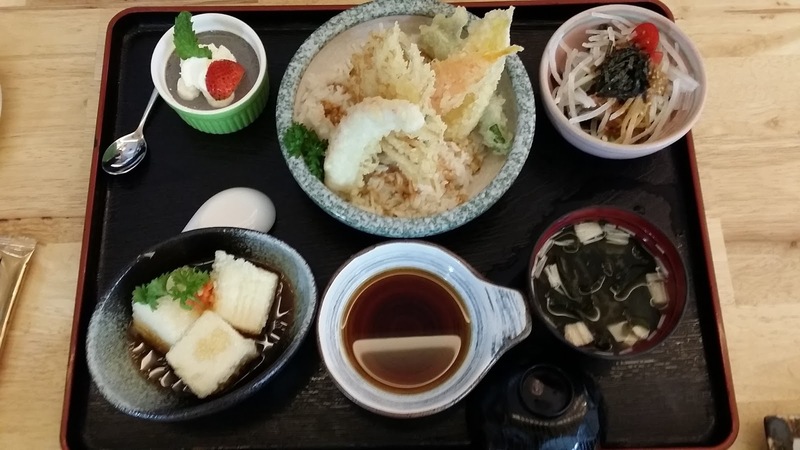 There aren't many (or even none) vegetarian japanese restaurants in Singapore? Let's hope it won't disappoint. 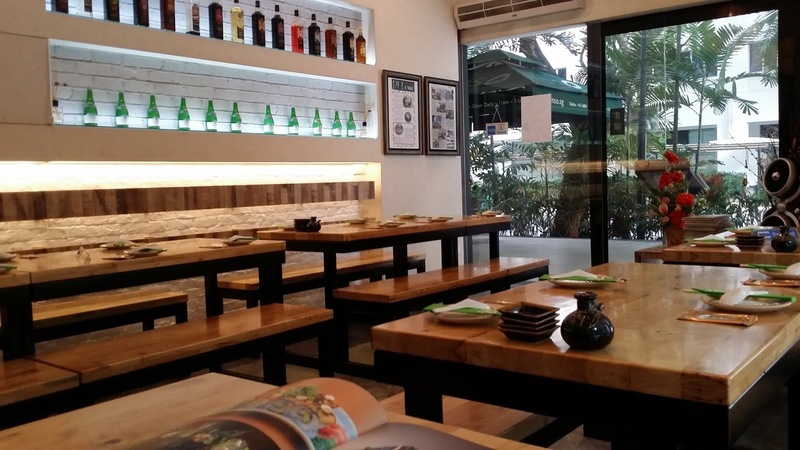 The ambience was good and staff were friendly. 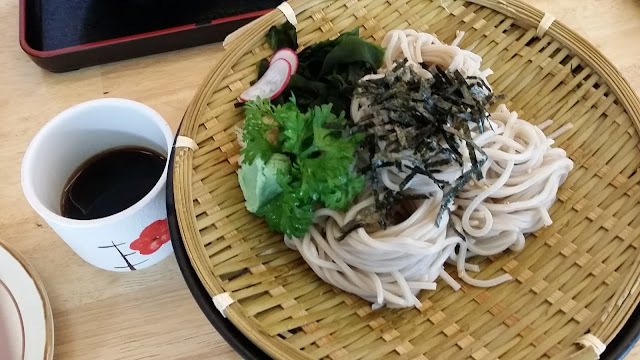 We ordered one of the chef's recommendation, Avocado Maki ($15), to share, Buck Wheat Noodle for myself ($11) and Golden Mushroom Tempura Don for mum. The avocado maki was a good appetizer. 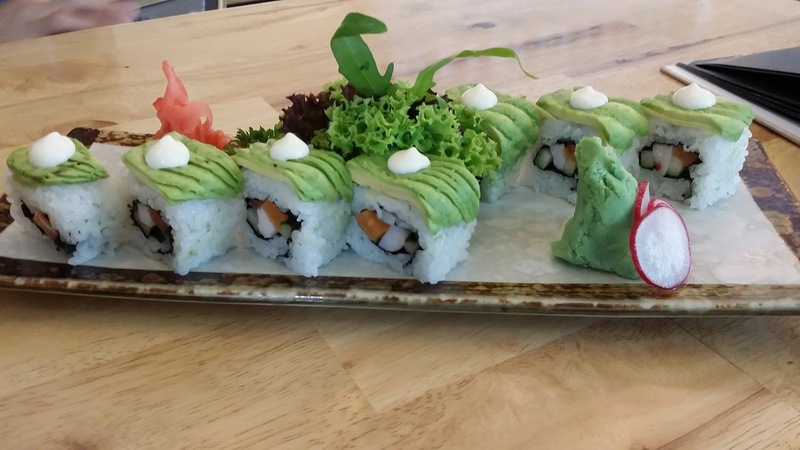 The avocado was fresh and thinly sliced. Just a small dip with wasabi and soya sauce is sufficient. The portion of the soba was quite big and 2 to share would be ideal if you have other dishes. Mum loves the fried tofu and the miso soup. I especially love the black sesame panna cotta. It should be about $22 for a set like this. We also brought Unagi Maki (Chef's Recommendation) for takeaway, We spent $70 in total for an extremely full dinner. We didn't bought much stuff but we indeed bought food home.